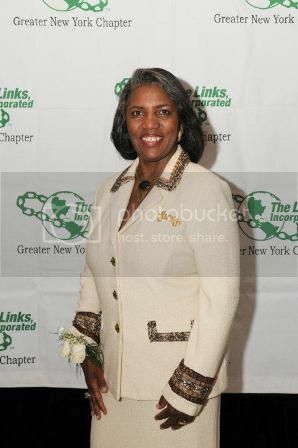 blackgivesback: The Insider: Gerri Warren-Merrick, President, Greater New York Chapter, The Links, Inc. The Insider: Gerri Warren-Merrick, President, Greater New York Chapter, The Links, Inc.
On Saturday April 7, 2012, the Greater New York Chapter, The Links, Incorporated, will present its 62nd Annual Women of Distinction Spirit Awards Luncheon at the scenic Pier Sixty at Chelsea Piers in New York City. 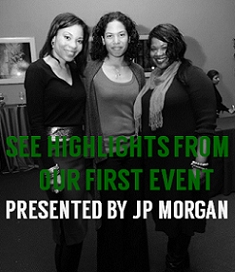 Our latest Insider, Gerri Warren-Merrick tells us why this event so special. What is the mission and goal of The Greater New York Chapter of The Links, Incorporated and how does the annual Women of Distinction Spirit Awards Luncheon support that mission? 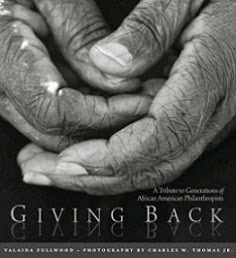 The Links, Incorporated with 12,000 members across the country is one of the nation’s oldest and largest volunteer service organizations of extraordinary women who are committed to enriching, sustaining and ensuring the culture and economic survival of African Americans and other persons of African ancestry. The Greater New York Chapter, made up of fifty professional women from all five boroughs of New York City and Long Island, come together first in the name of friendship and service to the community. A minimum of 48 hours of community service is a requirement of membership, one that our members far exceed each year. Our work is focused on 5 areas; National Trends, International Trends, Arts, Services to Youth and Health and Human Services. The Women of Distinction Spirit Awards Luncheon generates eighty-five to ninety percent of the funds needed to support these programs. Our members are engaged with a wide range of projects to provide help and healing for women and families dealing with domestic violence. We’ve adopted a women’s shelter and are renovating a children’s space at an urban women’s retreat partnering with Essence magazine. We’re also working with Macy’s to bring life skills and education around bullying to youth and hosting elder abuse workshops for seniors in Harlem with Abyssinian Baptist Church and AARP. We’re proud of all of the work we do in the community, and we are especially proud of the impact we’ve been able to make internationally for women in Haiti. The struggles people are facing in the aftermath of the 2011 earthquake aren’t getting much attention in the news anymore, but people still need help trying to rebuild their lives. Some of them still need the most basic supplies. So we packed 400 women’s toiletry kits and sent them to women in need. Our sister Rev. Dr. Elaine Flake visited Haiti shortly after the disaster and learned that violence and sexual assault was a serious issue for women there. We included whistles and flashlights in our kits to help with safety. As President of The Greater New York Chapter of The Links, Incorporated, what is your vision of the organization for now and the future? Currently, we have a scholarship committee and are able to provide deserving students with $1,000-$4,000 scholarships to help support their education. My vision is for us to be able to provide sustained mentorship and financial resources to cover 4 years of student’s undergraduate education or 2 years of graduate school. We aren’t there yet, but being able to do that is something we aim for in the future. 2012 marks the 62nd Annual Women of Distinction Spirit Awards Luncheon presented by The Greater New York Chapter of The Links, Incorporated. What can we expect from this year's Luncheon? Who are the honorees and how many guests are you expecting this year? Our luncheon on April 7th will be a grand celebration of women and friendship. At 11:00 we open with a fabulous designer/vendor showcase. At noon, the luncheon will begin where we will honor Tanya Leah Lombard, AT&T‘s Vice President of Public Affairs and Essence Magazine Editor-in-Chief Constance C.R. White. Our Co-Chairs for the 2012 Women of Distinction Spirit Award Luncheon are Donna Jones and Rhonda Joy McLean. Luncheon Vice-Chairs are Mignon Espy-Edwards, Sharné C. Jackson and Barbara North- Lightning. A major highlight will be the fashion show featuring the latest collections from acclaimed designers Barbara Bates, Bates Designs, b. michael AMERICA RED Collection Ready To Wear and Edward Wilkerson, Design Director, Lafayette 148 New York. We are expecting Cicely Tyson to attend as well as Judith Jamison who has joined us in previous years. Dianne Hardison, Eastern Area Director of The Links and others will travel from across the country for this event to kick off the Spring season. We want as many people as possible to join us because the proceeds from this event are used for such an important purpose. For more information, log on to Greater New York Chapter‘s Web site at http://www.greaternylinks.org/.